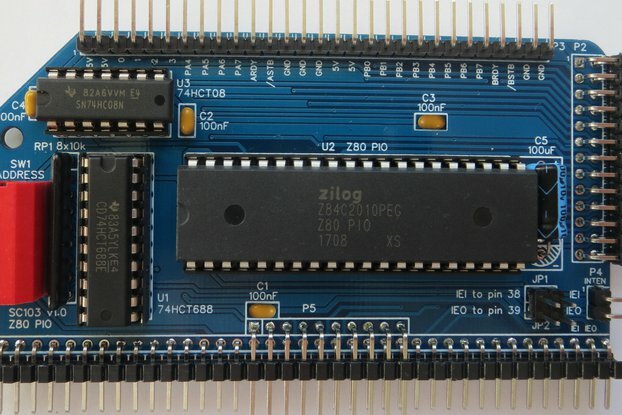 With the free Small Computer Monitor v1.0 configuration R3 software installed in EPROM, the system has a capable machine code monitor, a BASIC interpreter and a CP/M loader. 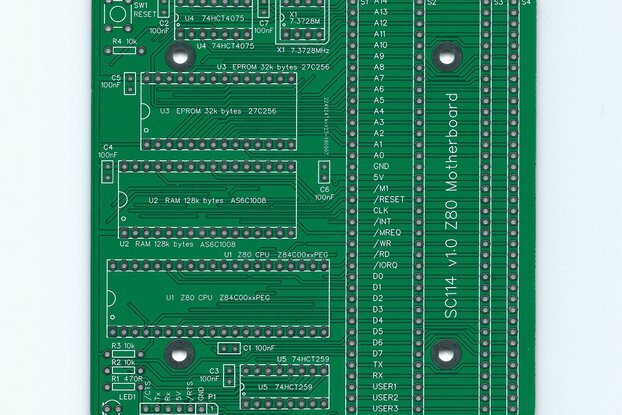 Connect to a PC, or similar, with an FTDI style serial adapter cable and run a terminal emulator program, and you have a 1980 style retro computer. 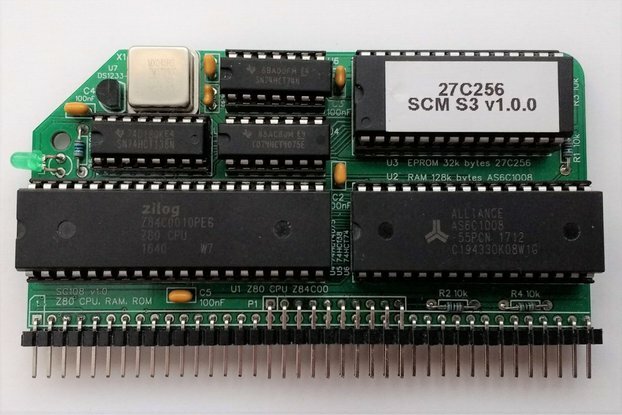 Adding the RC2014 Compact Flash module allows the system to run CP/M. 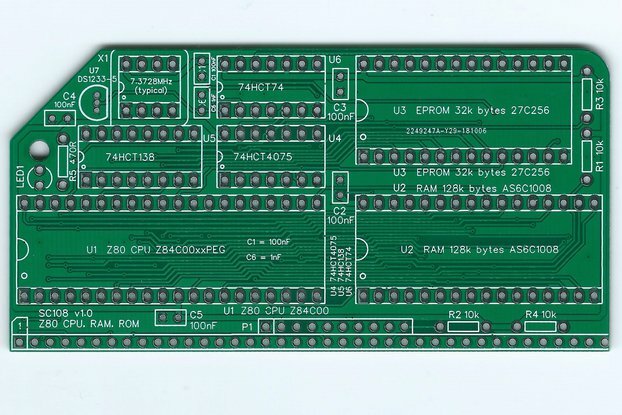 This combination of boards forms a very flexible RC2014 system, designed for those wishing to experiment with hardware. 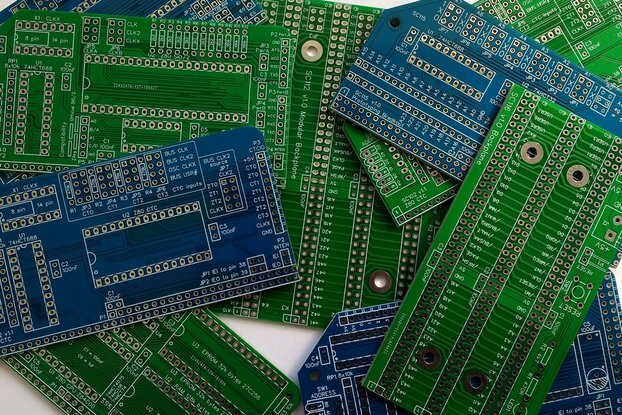 Each printed circuit board has a user guide (PDF), which includes component sourcing and assembly instructions. This can be found in the documentation link below. 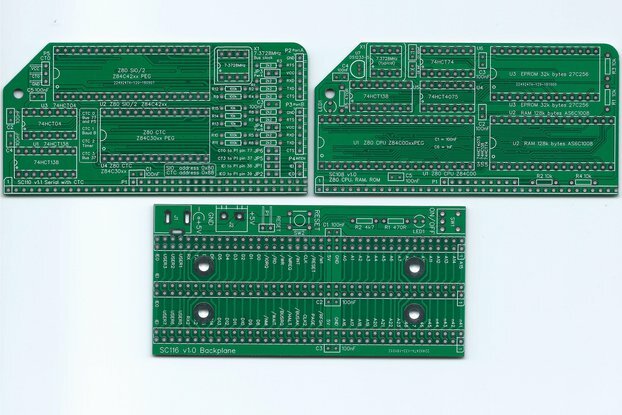 PCB design files can be found at EasyEDA.com, where you can download Gerber files and order boards. 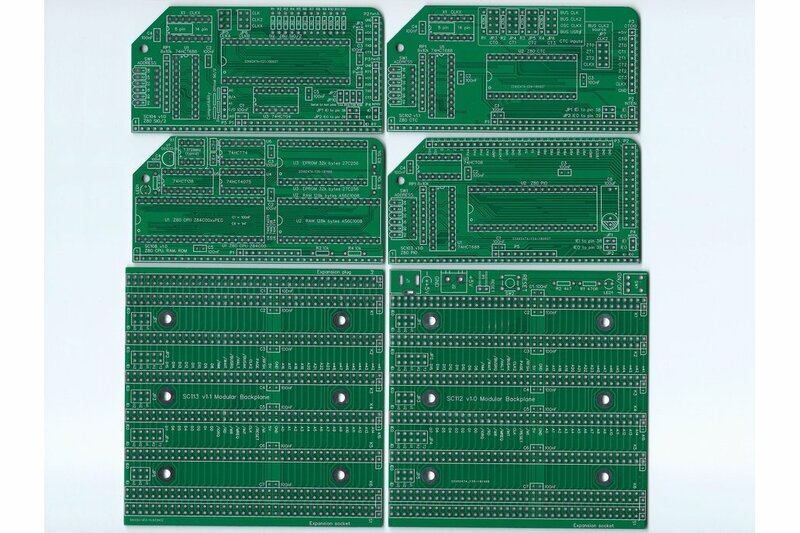 This product is supplied as PCBs only. 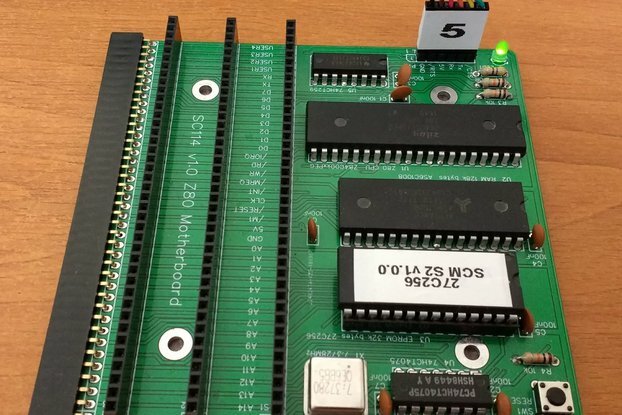 Components shown in the photographs must be sourced separately. It is your responsibility to pay any import duty or taxes charged by your home country. 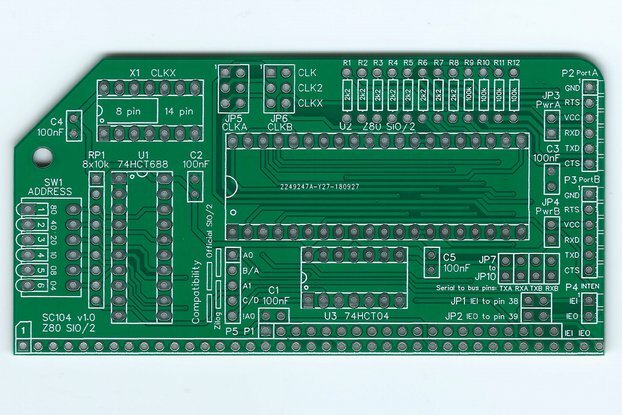 My products are made in accordance with the "designed for RC2014" labelling scheme. 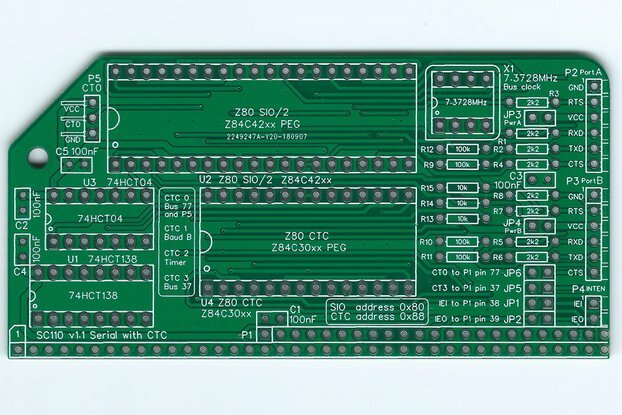 RC2014 is a trademark of RFC2795 Ltd. This product is designed for hobby use and is not suitable for industrial, commercial or safety critical applications. Usually delivered in 2 weeks. No tracking or signature. The item should fit through a letterbox.